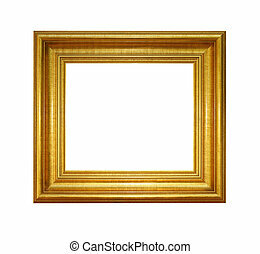 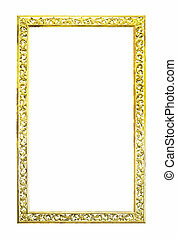 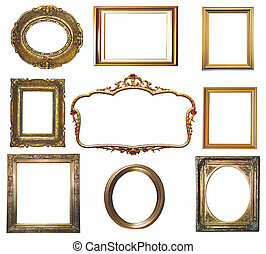 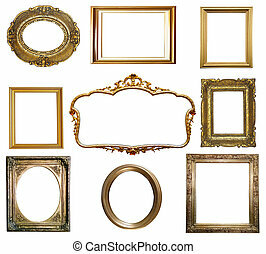 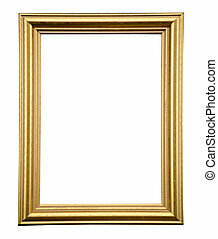 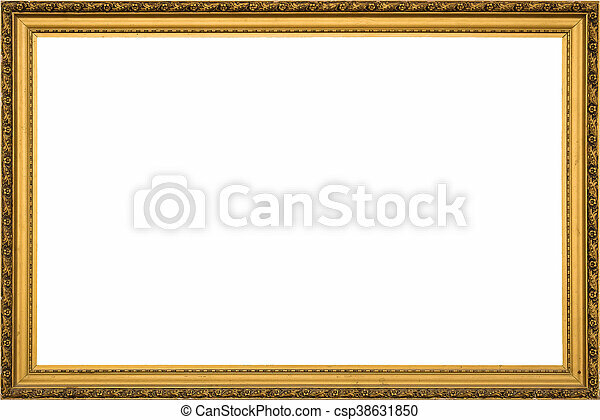 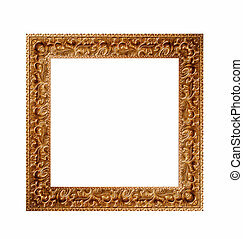 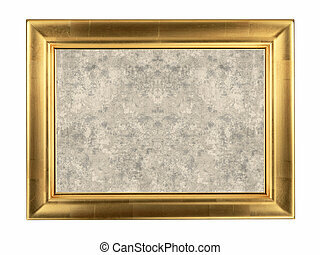 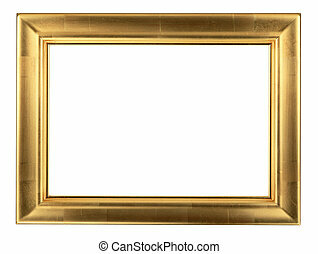 Antique golden wooden frame isolated on white background. 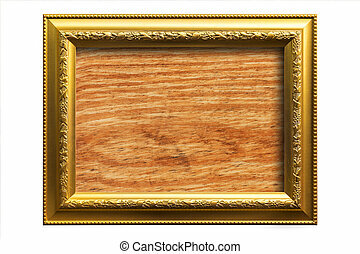 Antique golden old broken cracked wooden frame isolated on white background. 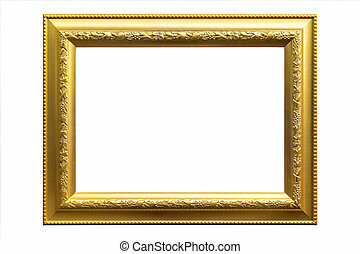 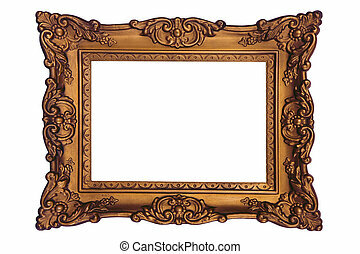 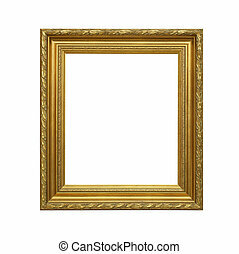 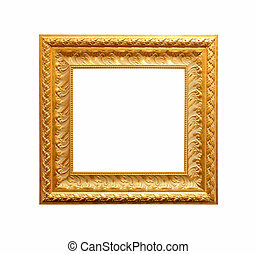 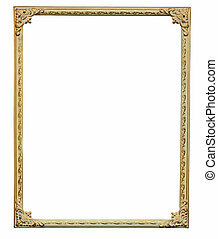 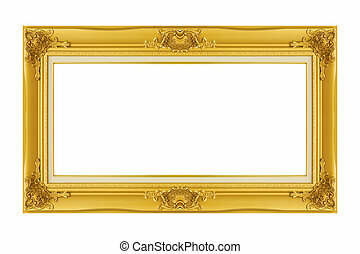 antique golden frame isolated on white background.